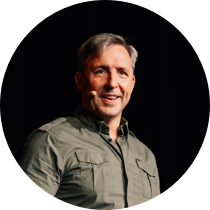 Dave Asprey is founder and CEO of Bulletproof, the world’s first human performance and nutrition company. Dave is a Silicon Valley investor and technology entrepreneur who spent two decades and over $1 million to hack his own biology. Dave is the creator of Bulletproof Coffee, host of the #1 health podcast Bulletproof Radio, and author of the New York Times bestselling book, The Bulletproof Diet. Dave is also the founder of 40 Years of Zen, a $2.5 million brain training and cognitive performance facility and host of the largest biohacking conference in the world. What would it feel like to have maximum energy to fuel your brain, your cells, and your every desire? To be more patient with the people you love, to make the best possible decisions, and to enjoy every minute of it? The Head Strong program is based on tens of thousands of hours of research, the latest scientific studies, and years of in-depth interviews with experts around the world to help you upgrade your brain in just two weeks – and the results keep building from there. That includes not only excelling at work and hobbies, but also making the best possible decisions, being more patient with the people you care about – and most importantly enjoying all these experiences more than ever. Who should read Head Strong? If you’re already 100% happy with your current cognitive performance, or you’re set in your current daily routine and you’re not willing to make some tweaks just get get more out of your brain (and more out of your life)… then Head Strong is probably not for you. Headstrong is a powerfully important book. Dave Asprey knows what it is like to suffer, but also how to take thoughtful action to heal and protect the most important part of humans … our brains. I highly recommend it. Your brain is the most valuable resource you have. Dave Asprey’s Head Strong program is full of simple tools to help you unlock the mental speed and energy of a modern day superhero. If you want to upgrade your performance, this book is a must read. The small choices we make every day—from the food on our plates to the lightbulbs in our homes—have a major impact on our mental performance. 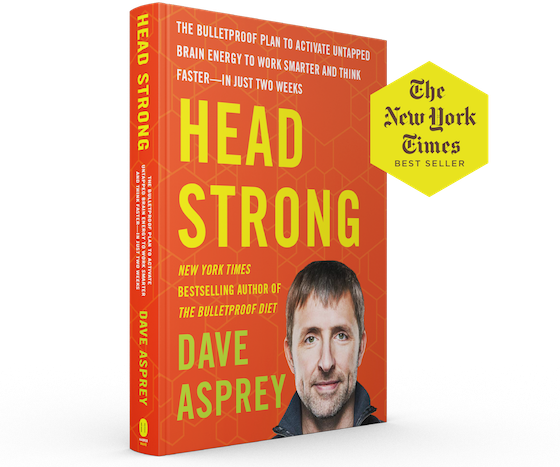 In Head Strong, Dave Asprey offers a program based on cutting-edge brain science that shows readers how to enjoy enhanced focus, better moods, and more energy. Highly recommended! STEVEN MASLEY - MD, FAHA, FACN, FAAFP, CNS, best-selling author of The 30-Day Heart Tune-Up and Smart Fat. Over the next decade, we will learn to extend the human lifespan 30-plus years. Mitochondrial health is fundamental to that goal. Head Strong is your comprehensive roadmap for maximizing brainpower and maintaining a strong, sharp and resilient mind. PETER H. DIAMANDIS - MD, New York Times Bestselling Author of ABUNDANCE and BOLD. Co-Founder, Human Longevity, Inc., XPRIZE & Singularity University. Head Strong is a tour de force as it relates to our current understanding of what maximizes brain performance. Dave Asprey has masterfully utilized both the leading edge of neuroscience as well as his extensive personal experiences to create a powerfully user-friendly guide that will clearly fulfill its promise to protect, restore, and enhance brain function. A strong, resilient mind is the cornerstone of a healthy happy life. In Head Strong, Dave Asprey explains how to ditch the ‘brain kryptonite’ that impedes our cognitive health so that we can all perform optimally — now and in the future. MICHELE PROMAULAYKO - Author of 20 Pounds Younger and Look Better Naked! and editor in chief of Cosmopolitan. Want to buy lots of books?